This is one of my favorite photos. 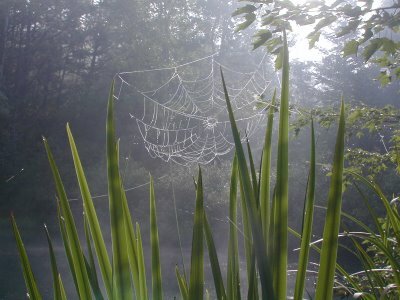 We were camping at a friends pond as we do every summer for a weekend with friends. 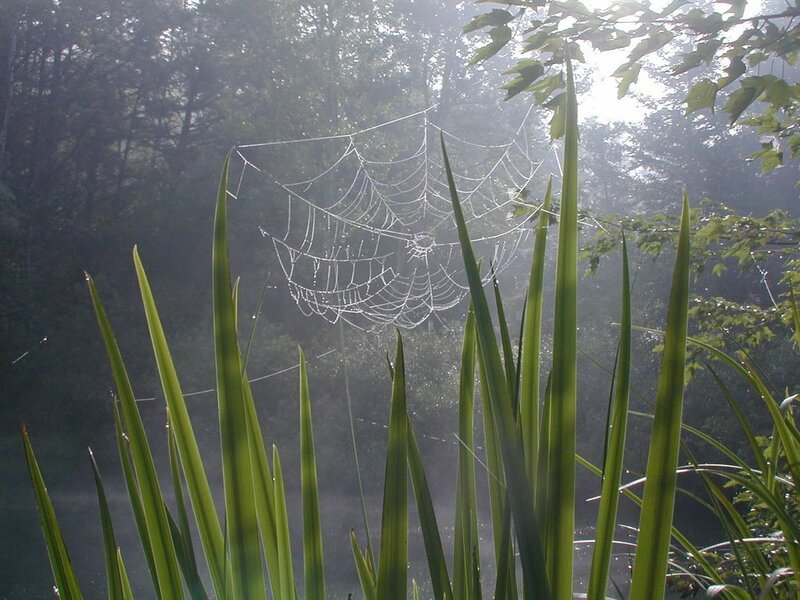 One morning there was a fog lifting from the pond, and this spider web had captured a lot of dew. I took several photos to attempt to get the light just right. This photo took first place in the Landscape and Nature category for the PAW print Cornell University Staff Photo contest in 2005. This was taken with a Nikon 2 megapixel digital camera.